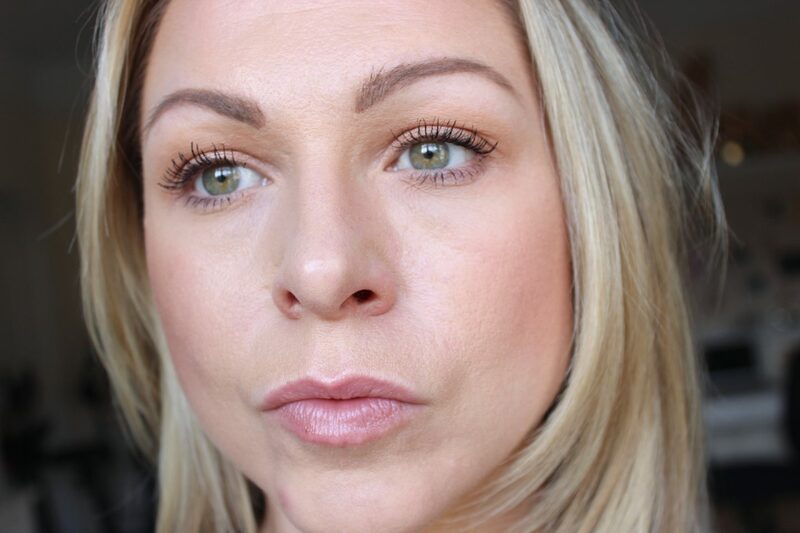 A Brow Routine For Sparse Brows - a little pop of coral. Brows are definitely the feature that can totally transform a face, but when you are severely lacking in the genes that Cara Delavigne was blessed with, you have to fake your way to full brows. I was a teenager of the nineties, so brow plucking was all par of the course, however I don’t really think I had much to pluck in the first place. They are a bit of an erratic shape, that are also quite fair and don’t have much fullness to them. I should really get them micro-bladed, but for now, I am actually quite happy with my brow routine, with just a few products they are the best that I can achieve with make up. Because they are so fair, I do tint them myself at home every 3-4 weeks with this tint kit, it literally only takes a few minutes and it instantly creates a better shape and makes them look fuller as every little hair (that you sometimes can’t even see) gets dyed. Following this, I pluck any stray hairs under the brow bone, I don’t go too close to the brow though as want to retain as much hair as possible there! As my hair doesn’t grow all that quickly, this is probably the only time I pluck as from past experience I find you can get overzealous with the tweezers if they are always on hand! Comparison between made up brow (left) and naked brow (right). One of my best discoveries from last year has go to be the Benefit Browvo! Conditioning Primer which has honestly improved my brows so much. It is a primer that you apply before your brow product that creates a matte surface for which to apply your product, allowing it to go on more smoothly and stay on longer. Once you have applied the gel-like cream, you have to wait a couple of minutes for it to dry, but it is worth the wait as I have a few gaps my brows where product does not last, but this gives my pencil something to cling to, so my brows stay in perfect shape all day. Another benefit from this miraculous product is that, unbeknown to me it actually encourages hair growth, so after a few months of using it, I started noticing new brow hairs popping up where I have never seen them before, an actual miracle! Now my brows are a lot fuller than they ever were and look good all day long, I will never be without this now! The ultimate brow pencil for me is the Anastasia Beverly Hills Brow Definer in Taupe. As I have a lot to fill in, I like the wide nib on this as it make it quick and easy. The shade Taupe is just the perfect color for my brows as it is an ashy shade that it neither too warm or too dark, I haven’t found a shade that competes! In addition to this though, I like to use a fine pencil particularly at the front of my brows to add hair-like stokes for added dimension and to neaten up. I love the Benefit Precisely, My Brow Pencil Ultra Fine Shape & Define in 03 Medium, which is a little darker than the ABH, but as I am only drawing a few strokes, it doesn’t over power at all and gives my brows some extra definition. Finally, to add some texture I run Glossier Boy Brow through them. Those more endowed in the brow department can use this alone, but I use this as my final step to add a little thickness and to set my brows. The shade Blond is a great match for my light brows, in the same vain as the Taupe shade in the ABH Brow Definer, it is quite ashy, so doesn’t add any warmth to the brows which I appreciate. It has taken me a while to perfect this routine, so don’t think I will be straying from this any time soon. 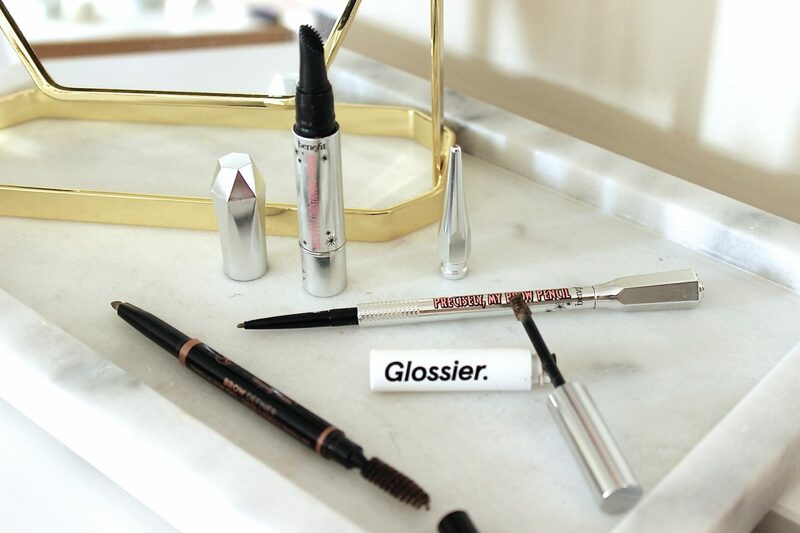 If you have sparse brows too, let me know what are your favorite brow products to use?